You always had a curiosity about a tablet experience! Now, this is your chance to get one with iBall Slide tablet. iBall is popularly known to be an affordable tablet provider. Which is why they are the best brand to lean on when you’re in a requirement of a budget Android tablet in India. 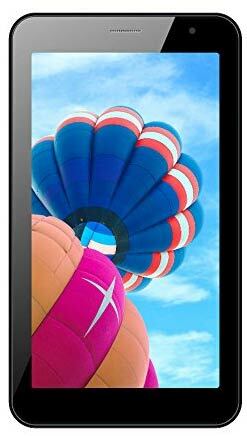 Particularly this iBall Slide tablet is a gem when it comes to specification and price tag. Equipped with a 7-inches screen that has a resolution of 1024 x 600 pixel, this tablet offers decent viewing experience. Powered by a dual-core processor, which clocks at 1.3 GHz and is paired with a 512MB RAM. Talking about the storage, it has an 8GB storage, which can be expanded via microSD card slot. In terms of camera specifications, it has a 2MP rear camera, which is equipped with a LED Flash. There is a VGA front-facing camera, which can be useful to make video calls. All this is powered by a 2500 mAh capacity, which claims to offer a decent battery life. Now let’s talk about the iBall tablet price in India, well, it starts at measly Rs 3,449.
iBall Slide D7061 full specs and reviews as of Apr 2019. Buy it here!